Dr. May received his medical degree from Autonomous University of Guadalajra. His intership was completed at the University of Arkansas and he performed his residency at the University of Florida. He is a diplomat of the American Board of Family Practice, a Fellow of the American Academy of Family Practice ... Read More and a member of the American College of Emergency Physicians. He is also a diplomat of the American Board of Preventive Medicine in the sub-specialty of Undersea and Hyperbaric Medicine. Dr. May is a board certified family practitioner who has special interest in cardiorespiratory disease and the complications of diabetes. He also has a special interest in wound care with hyperbaric oxygen treatments. Dr. May served in the U.S. Air Force as a missile officer with Strategic Air Command. 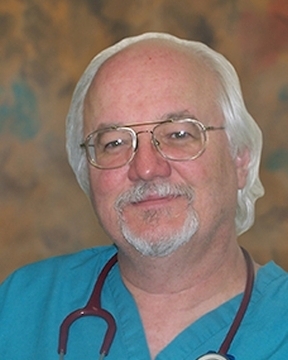 He currently serves as the Director of the Center for Wound Care and Hyperbaric Medicine at Sacred Heart. He enjoys tennis, military history, billiards and playing the drums. He and his wife Lisa have one child, Justine.